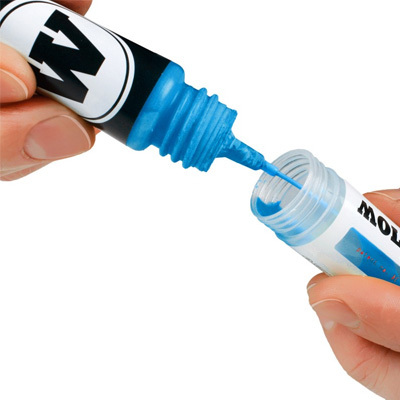 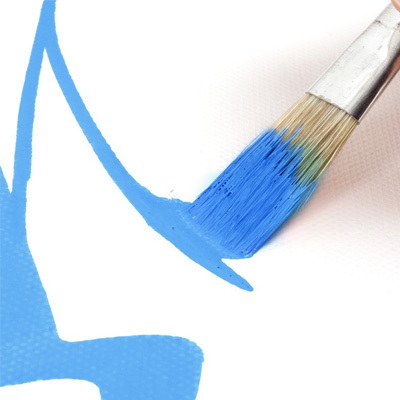 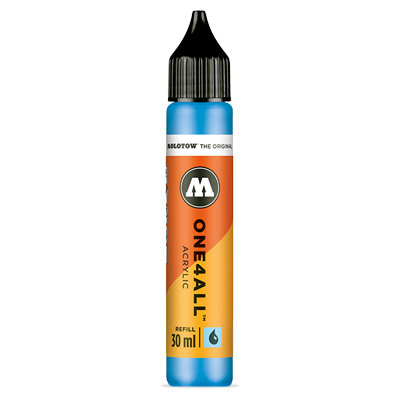 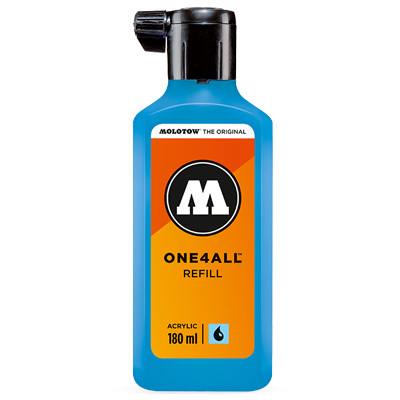 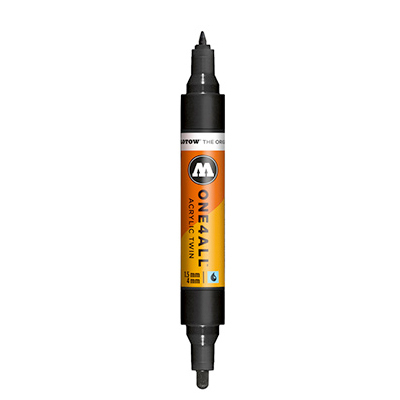 The highly covering Molotow One4All acrylic-based paint is silky matt, has a high UV-resistance and can be mixed. 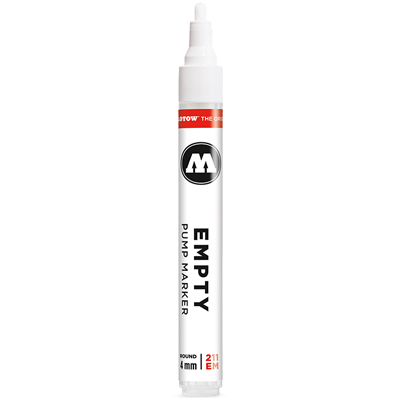 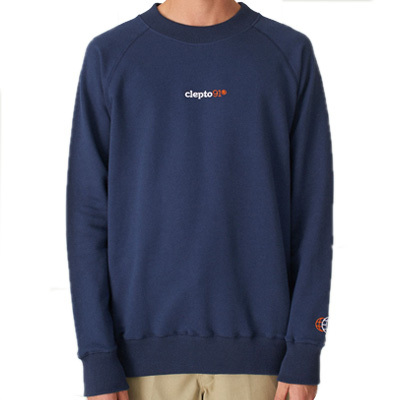 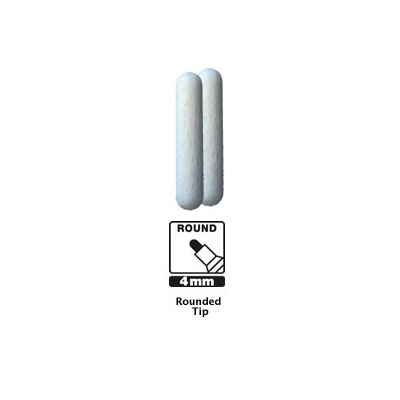 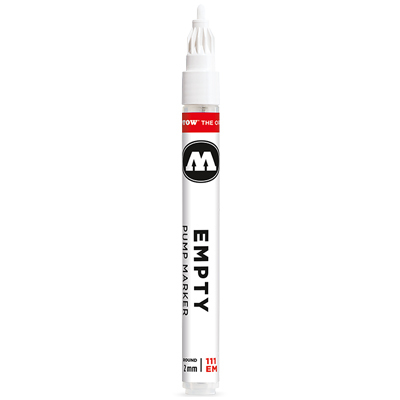 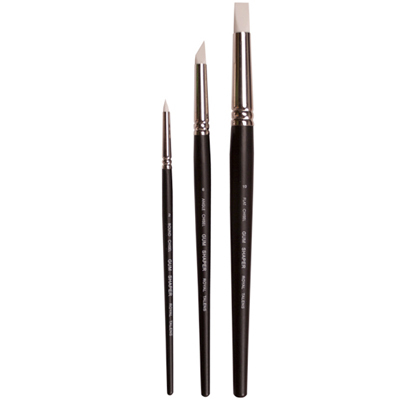 Available in 50 different colours, suitable for refilling markers or for direct application with a brush or airbrush gun. 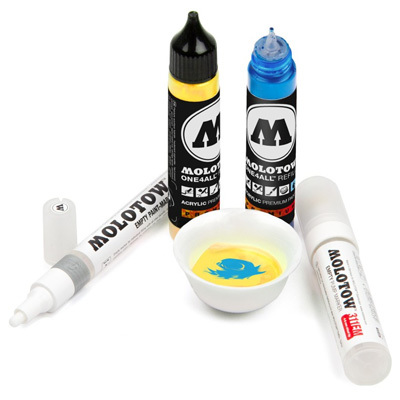 The acrylic paint is suitable for indoors and outdoors and for painting almost anything: from paper or canvas to difficult surfaces such as wood, fabric, concrete and even leather.